Der Artikel Aram Khachaturian (1903-1978): Cellokonzert wurde in den Warenkorb gelegt. 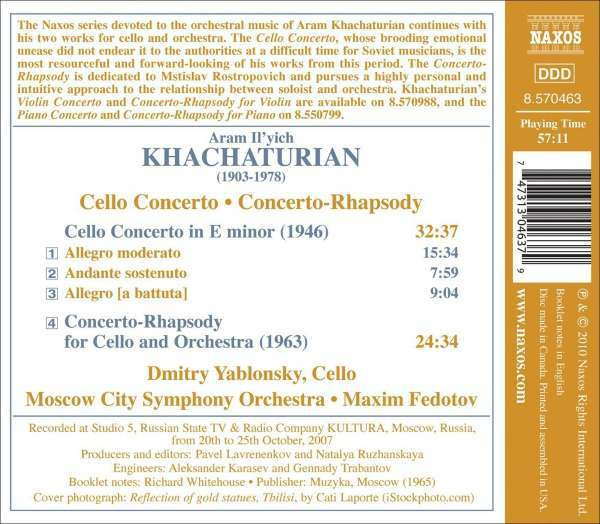 The Naxos series devoted to the orchestral music of Aram Khachaturian continues with his two works for cello and orchestra. The Cello Concerto, whose brooding emotional unease did not endear it to the authorities at a difficult time for Soviet musicians, is the most resourceful and forward-looking of his works from this period. 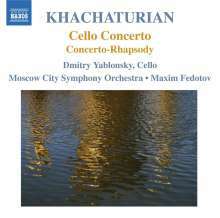 The Concerto-Rhapsody is dedicated to Mstislav Rostropovich and pursues a highly personal and intuitive approach to the relationship between soloist and orchestra. Khachaturian's Violin Concerto and Concerto-Rhapsody for Violin are available on 8.570988, and the Piano Concerto and Concerto-Rhapsody for Piano on 8.550799.